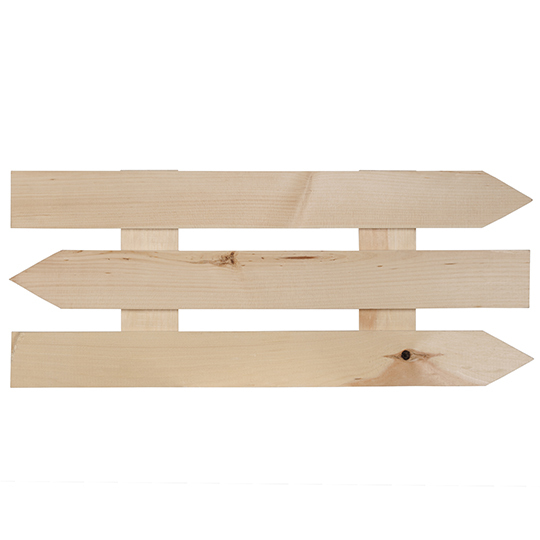 Many Brides are using signs to help guests find the way to parking, ceremony location, reception area, etc. Why not the CAKE? 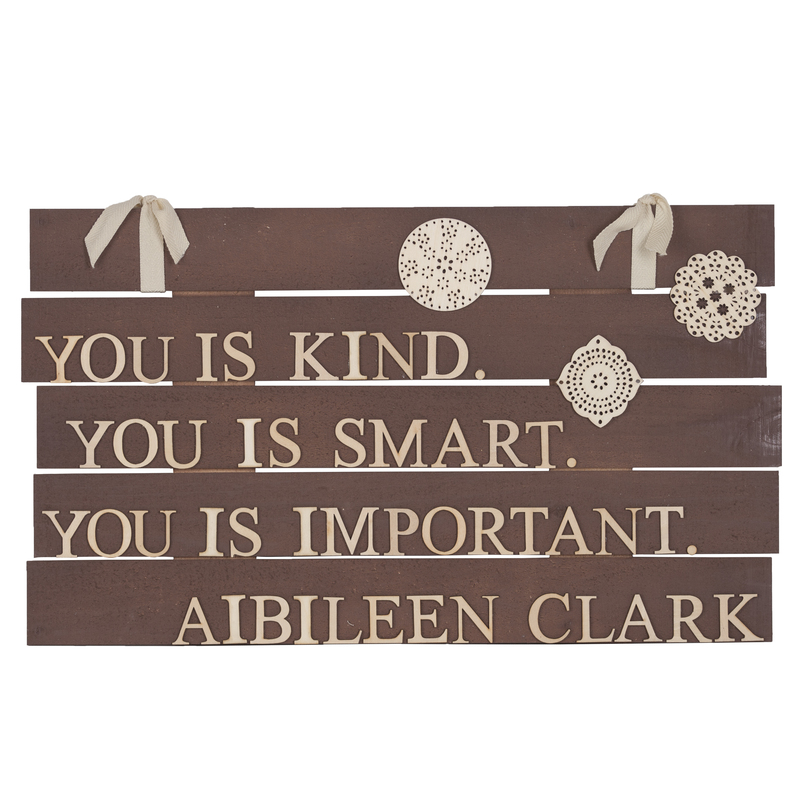 Our new Rustic Pallet Program includes a Rustic Market Sign great for lots of things – to identify plants in your vegetable garden, flowers in your flower garden or a “welcome” to visitors in your front yard. 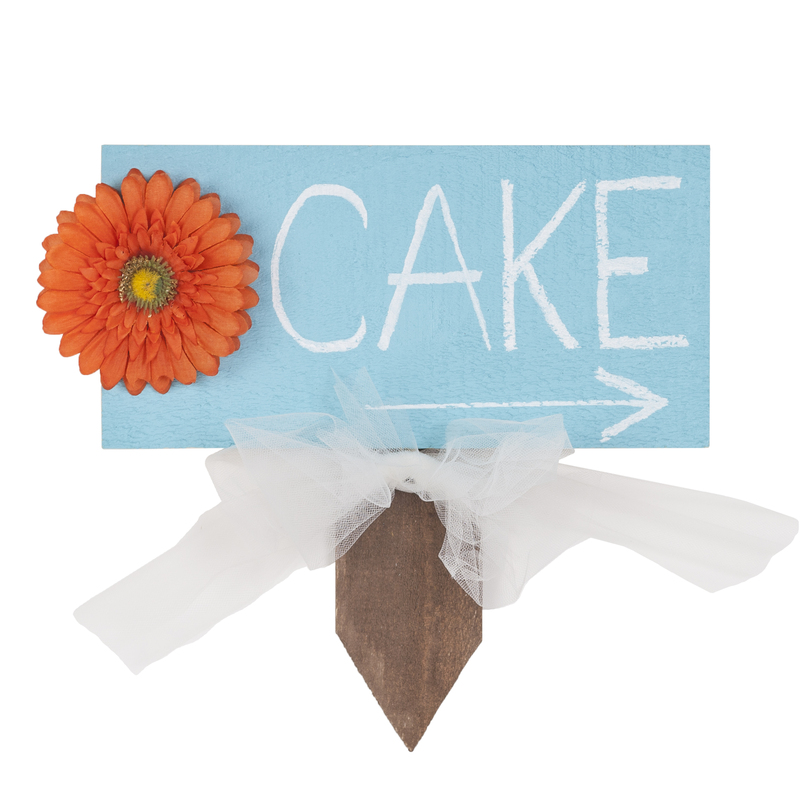 I created a simple CAKE sign pointing the way to the wedding cake. It’s reusable because you can wipe off the word “CAKE” if you use a piece of chalk or a chalk pen. 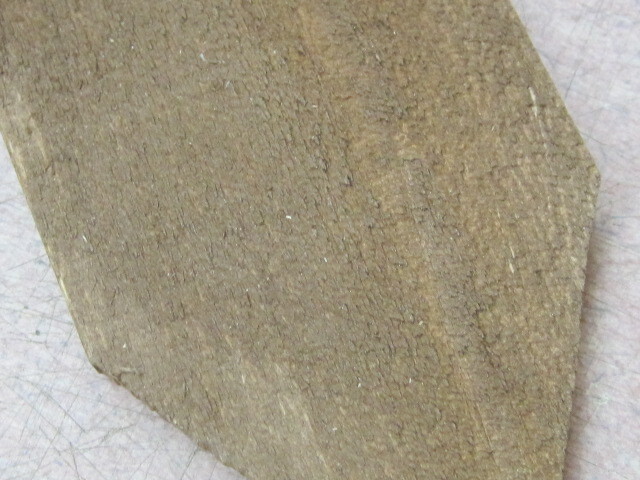 Begin the project, stain the stake part of the wood piece by adding water to DecoArt® Americana® Brown Velvet. I always use the largest brush I have that fits the area for painting or staining anything. I stained the entire stake with the thinned acrylic paint and let it dry. 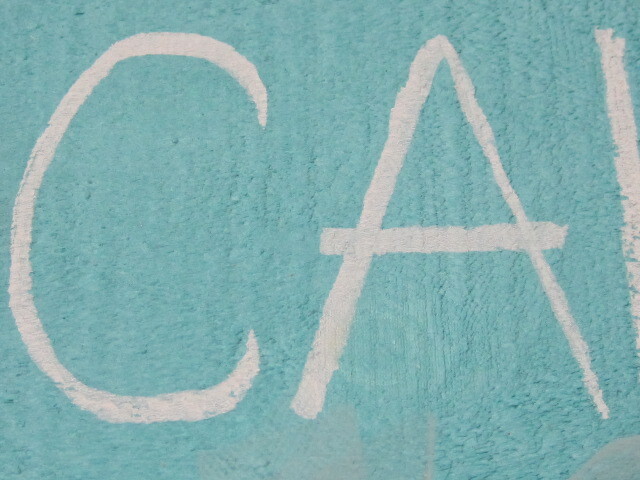 Use the same large brush to basecoat the sign area with Martha Stewart Chalkboard Paint – I used turquoise, rather than black. Follow the directions on the bottle and let the second coat dry overnight. I didn’t rub chalk on the sign to “season” it because I was going to be using a chalk pen. 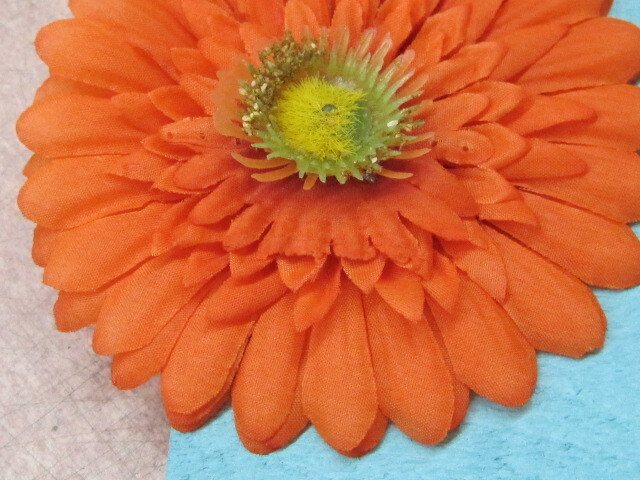 I used a couple of Tombow® Power Tabs to adhere the silk flower to the sign. Because the Rustic Market Sign is quite rough, I wasn’t sure if the chalk pen would work or not. However, I think that using the chalk pen made the word on the sign more clear than if I had used a regular piece of chalk – it didn’t matter if the sign was rough or not! Last month Kristin St. Clair shared her Tag Chalkboard with you – today we are sharing her brilliantly created Basswood Country Round. 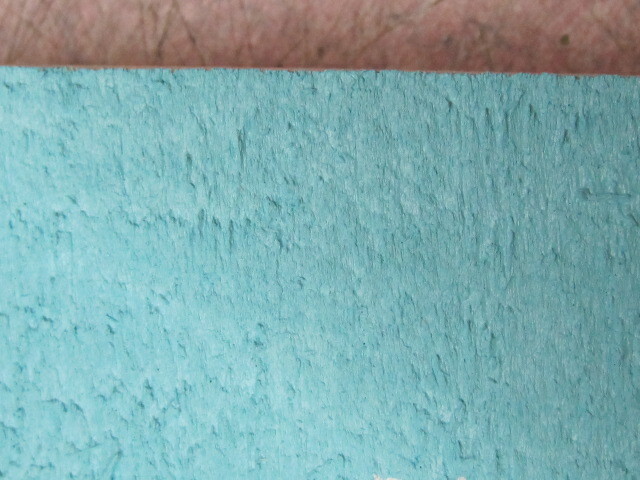 This is the “thick” version that our customers are loving! Not sure what all of them are using the “thick” version for, but we’ve been wood burning on them, using them in various ways for wedding planning and for serving food – just to name a few. Kristin created an address sign idea to display outside your home. Such a great idea! Read below to see how she lights everything up………. 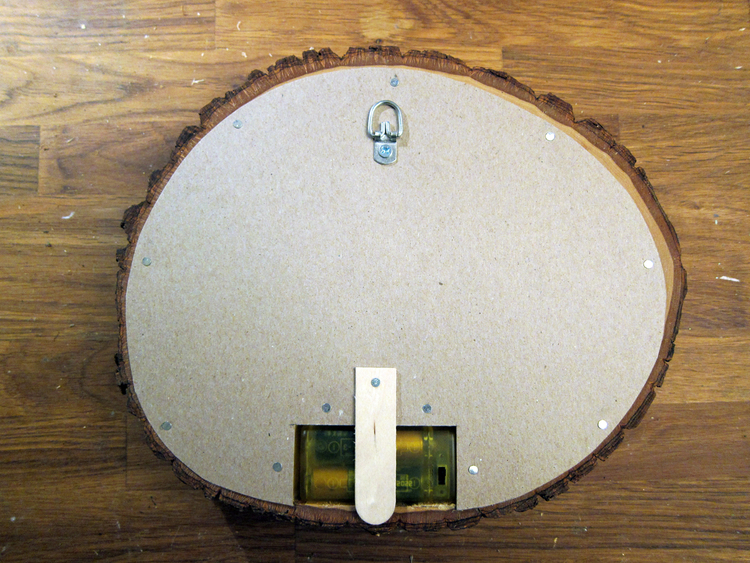 Position and center the battery pack of the LED lights on the bottom edge of the backside of a piece of basswood round. 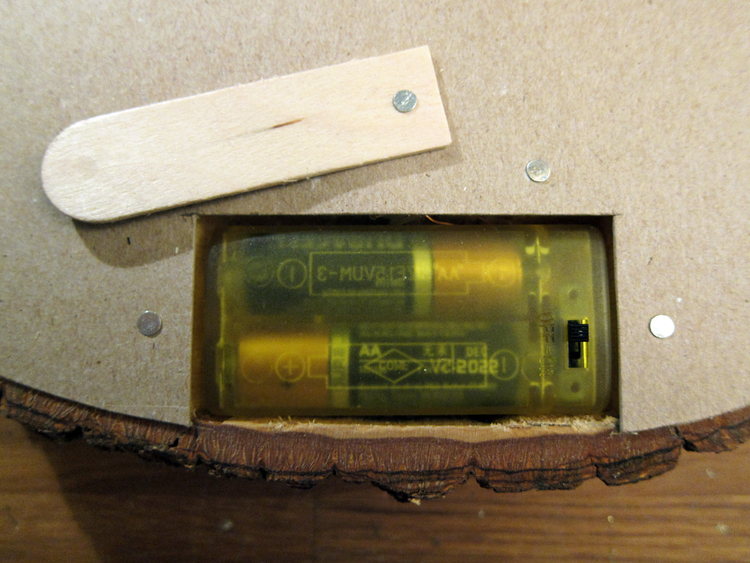 With a pencil, trace around the battery pack. 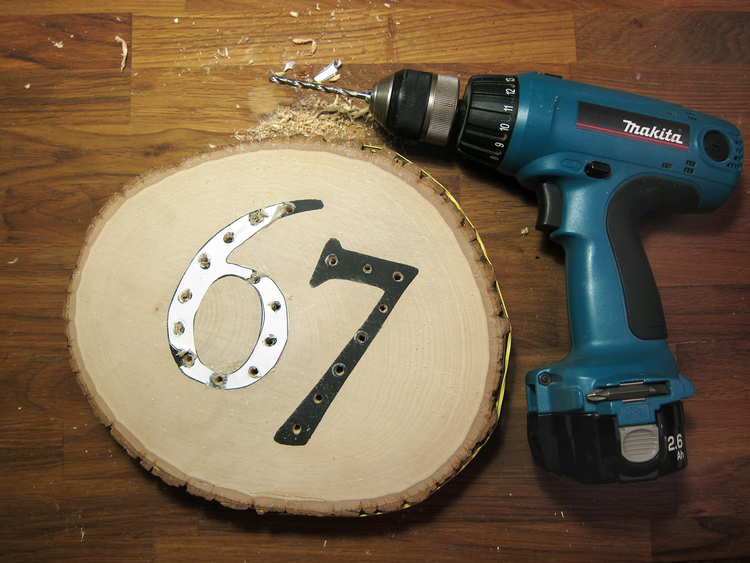 Create a number stencil. Pick a font and print out numbers to a piece of paper in an appropriate size. Cut numbers out with utility knife on a cutting mat. Save all number elements (i.e. inside circle of number 6). 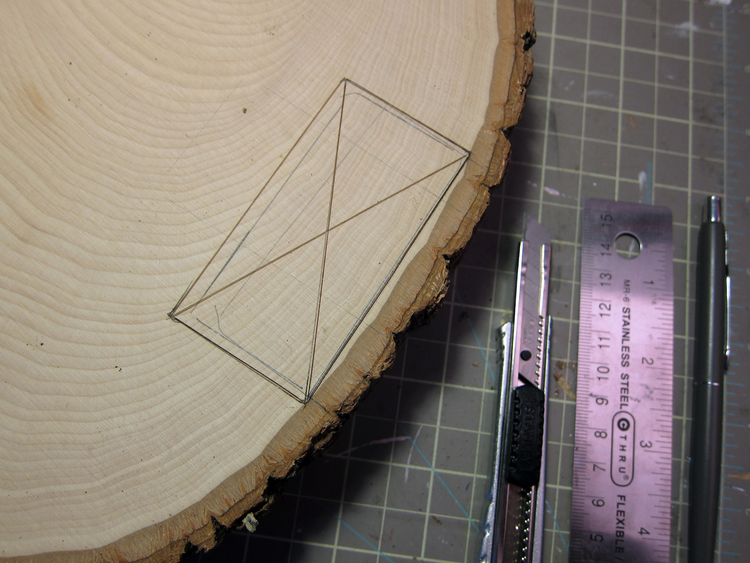 Position and center stencil to front of basswood round. Secure with tape. With paint and a foam pouncer, stencil the number. Remove paper stencil and let dry. 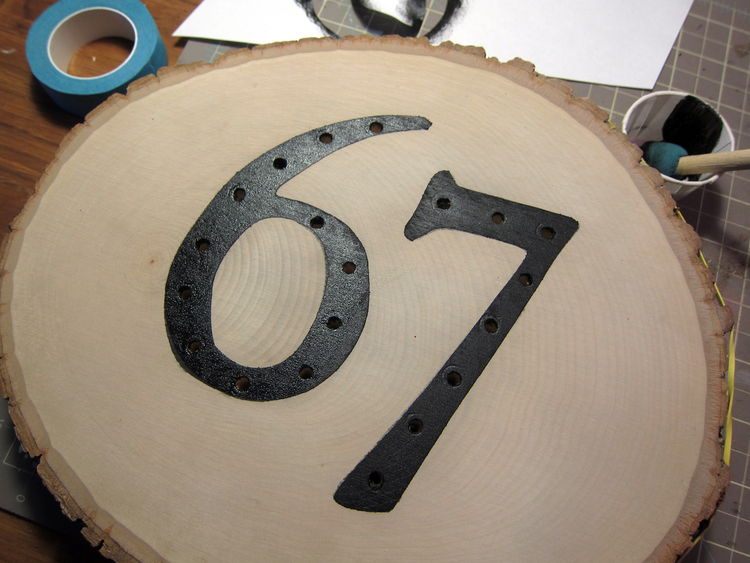 With the numbers that were cut from stencil, evenly mark 20 light holes. 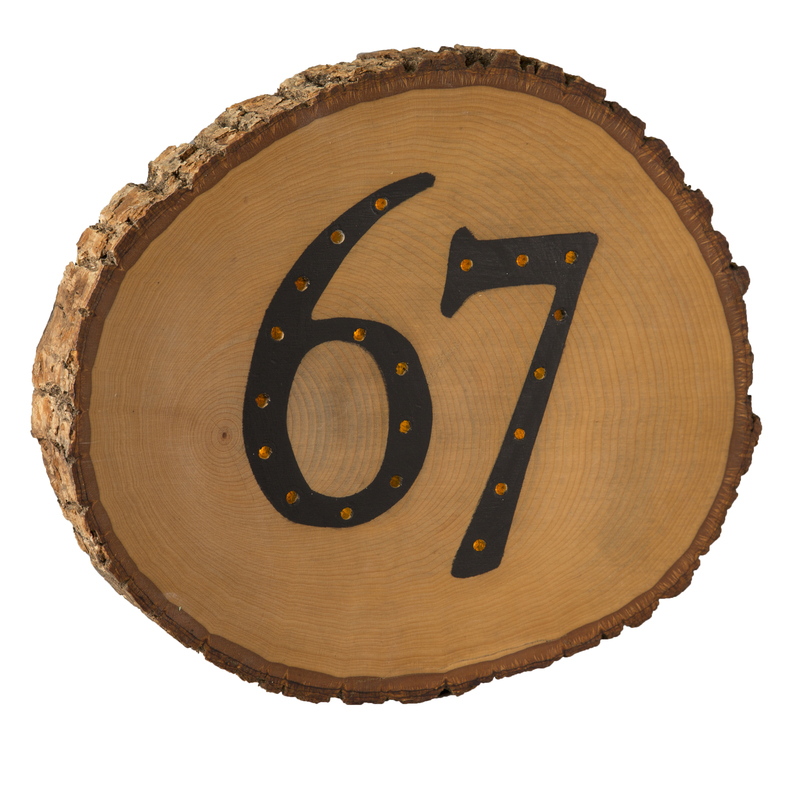 Tape paper numbers over painted numbers on basswood.With a drill affixed with an 11/64″ bit, drill through basswood round on marks. 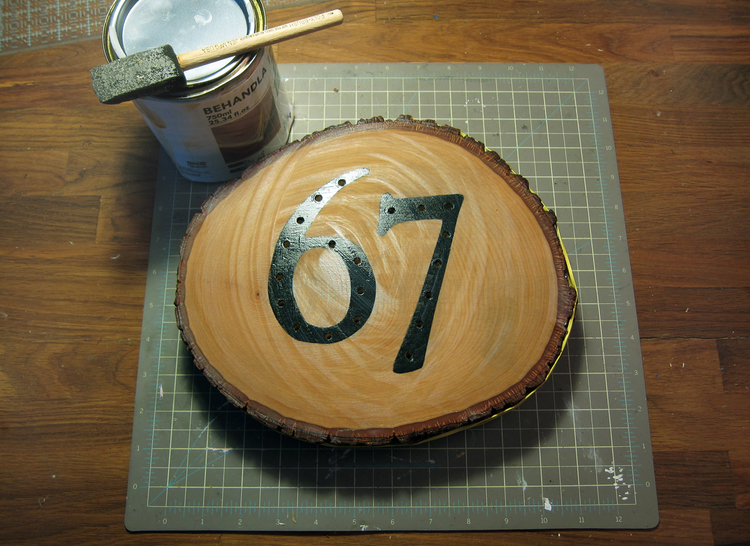 Clean off any wood dust and reapply number stencil. Touch up paint in and around drill holes. Let dry. 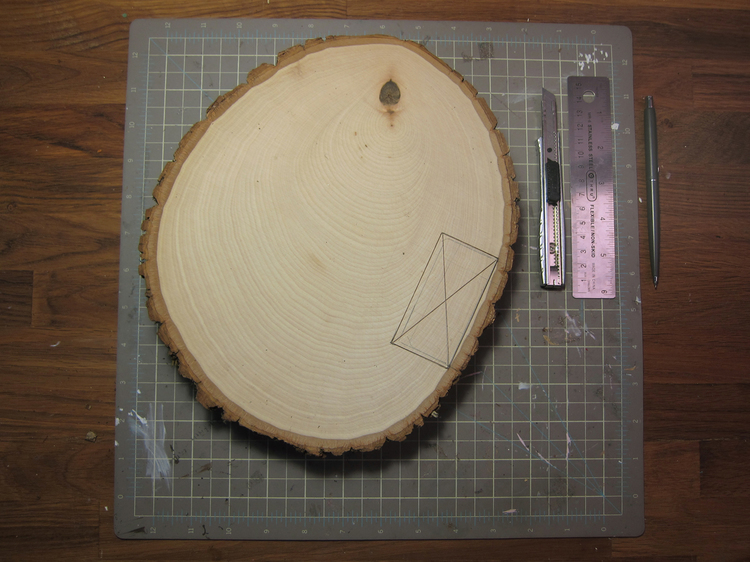 Cut a piece of chipboard to fit the back of basswood round. 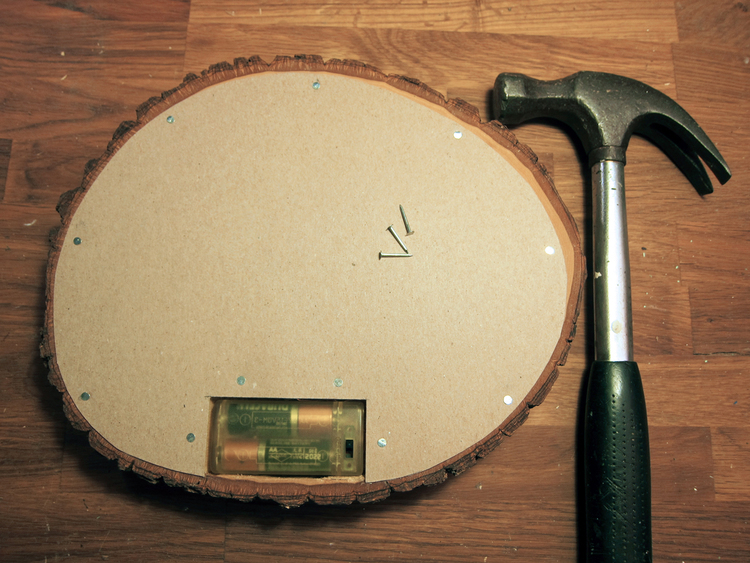 Cut out a hole where battery pack is.With wire brad nails and a hammer, secure the clip board to the basswood. 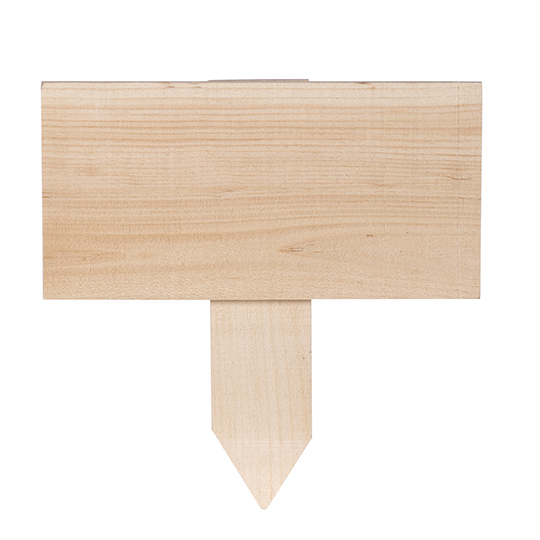 Add hanging hardware to back of basswood. Wanted to share with you everyone’s favorite project from the Rustic Pallet Program – hands down, it’s the Arabesque Paneled Clock. When I say “everyone” – I’m talking about my co-workers, who like to share their option of the projects created with our products! It is probably one of the most simple of all the pieces, yet catches everyone’s eye. I love basecoating projects with Tattered Angel Glimmer Mists. It is just so easy to spray the Mist and let it dry. 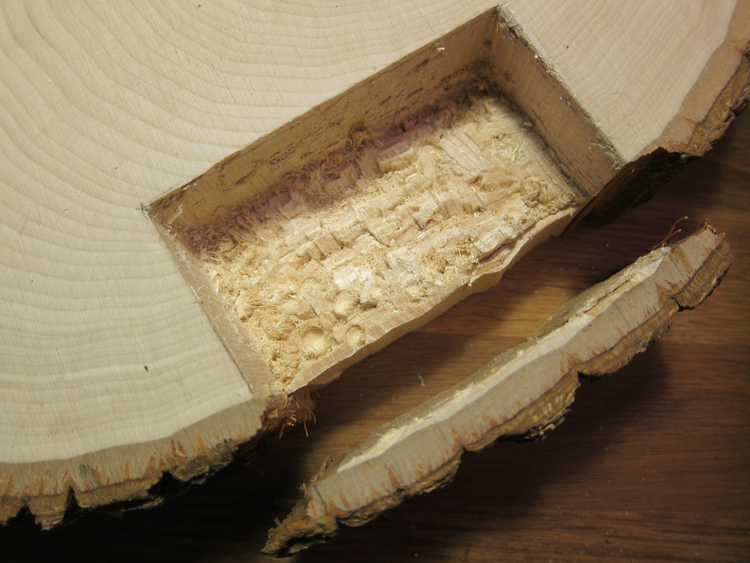 There is no need to seal the wood first – in fact it’s much better not to seal the wood so that the Mist soaks into the surface of the wood. It covers the wood well and there is literally no clean up, just wipe up any spray that is on a mat or paper that you laid down before spraying. 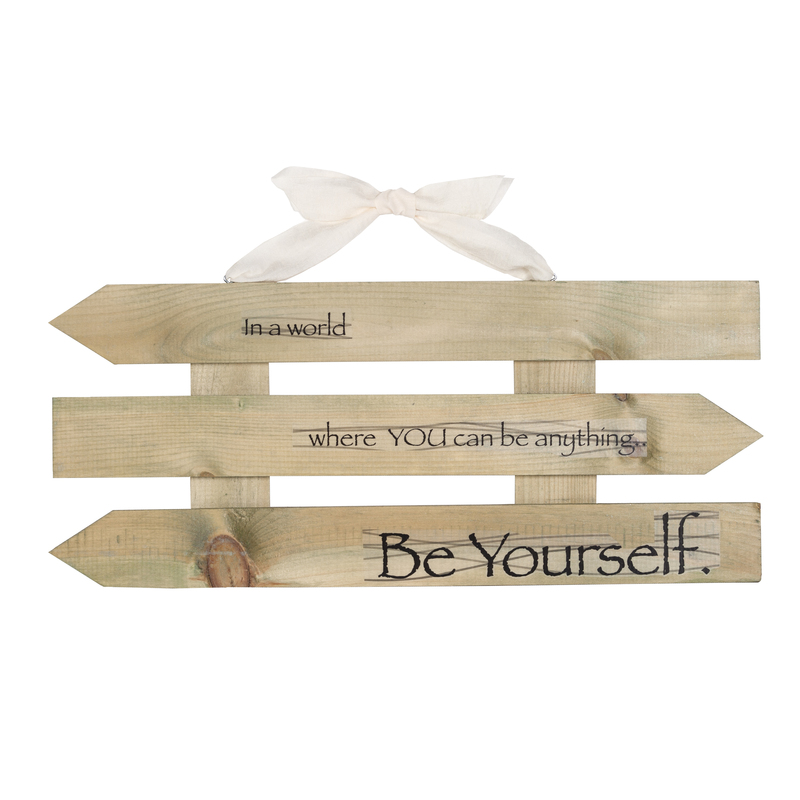 When you use the Glimmer Mists there is always a little brilliance on the wood when it is dry that is beautiful. 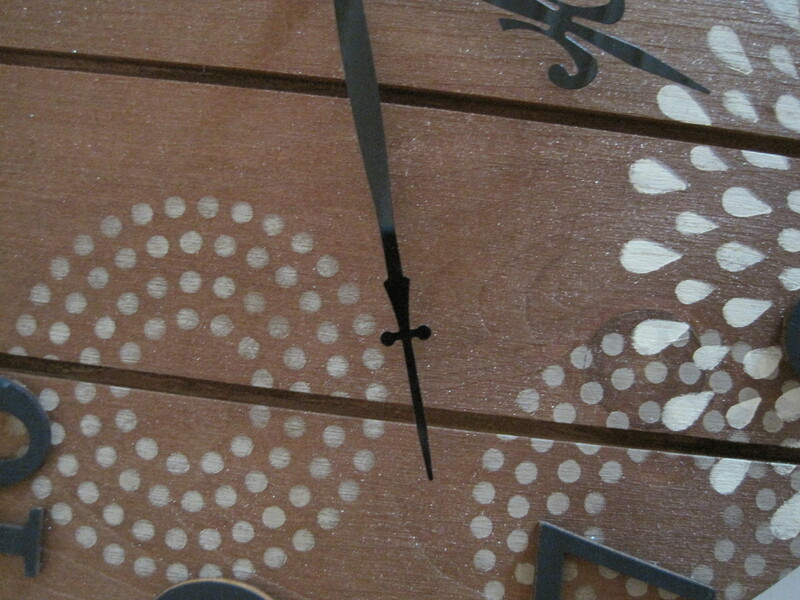 I used Tattered Leather on the raw wood – the Rustic Paneled Clock. I found the stencil at Michaels – it’s by Martha Stewart and the name on the package is Arabesque. 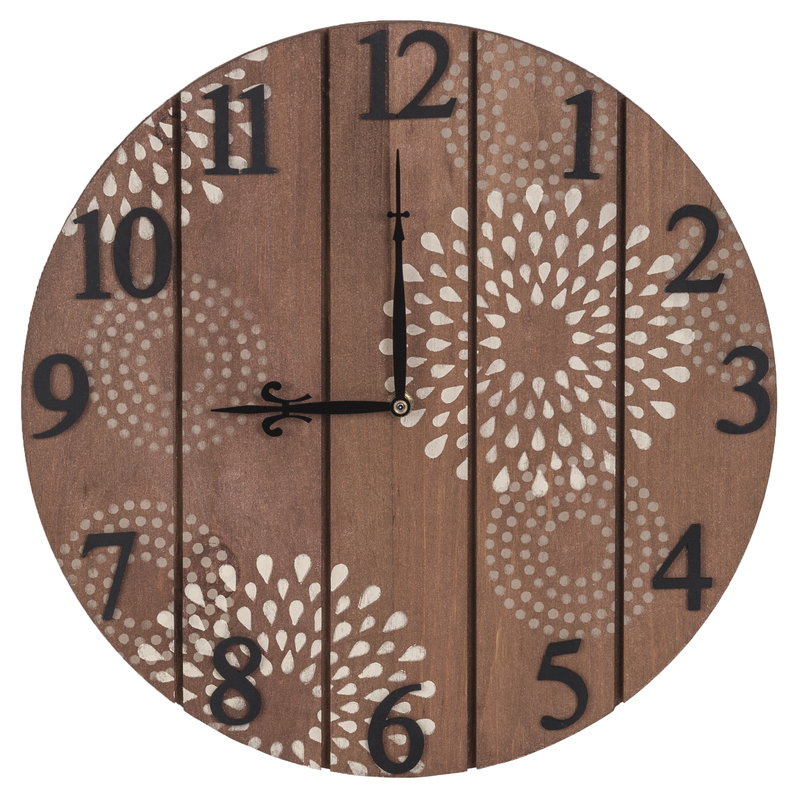 There are several stencils in the pack, but I thought that the circles were perfect for the shape of the clock surface. I used a couple different colors (DecoArt®Americana® Acrylic Paints: Khaki and Buttermilk) to layer the stencils with the Buttermilk used on top of the Khaki. 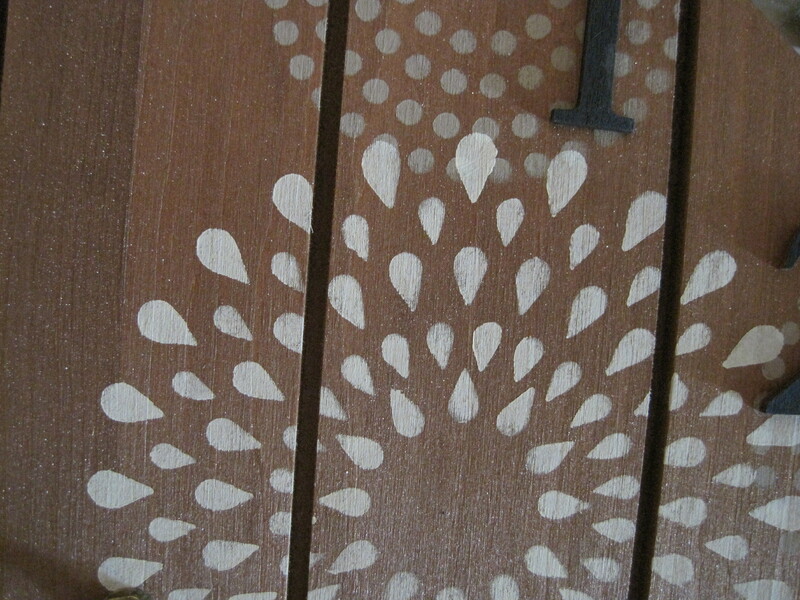 The best tip I can give you for stenciling is to use very little paint on the stencil brush. And don’t use water between colors! Add your first stencil color (Khaki) to the stencil brush and wipe any excess paint onto a paper towel. You can always add another coat of paint, but it’s hard to clean up messes from stenciling with too much paint on the brush. There are a couple of ways to add the color: working in a circular motion over the stencil or pouncing the brush on the stencil. For this project, I pounced – which is simply an up and down motion of adding color directly into the openings on the stencil. After I was finished with the little dot circle stencil using Khaki, I wiped as much paint off the stencil brush as possible, then loaded the brush with Buttermilk and wiped the excess paint off on a paper towel as before. 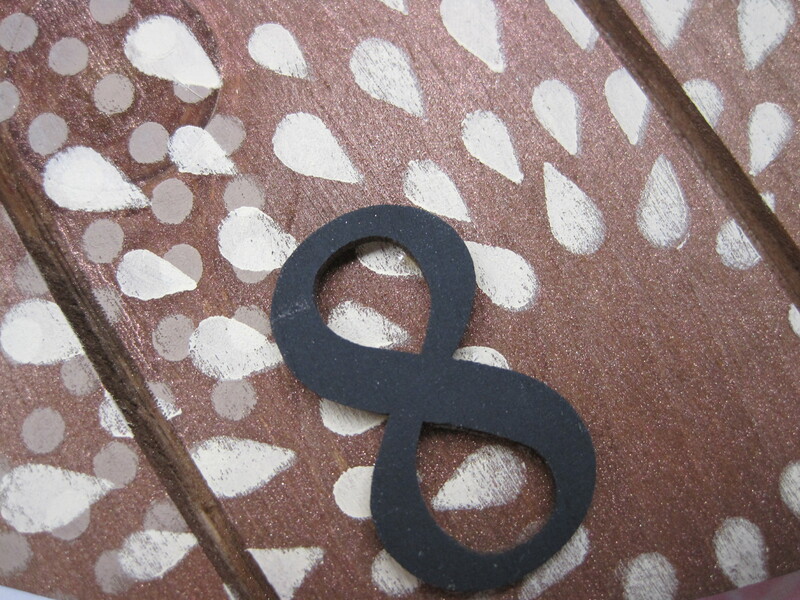 I stenciled the teardrop circle stencil with this color. Once you are happy with all of the stenciling, let the paints dry thoroughly……and now you can use water to clean the brush. 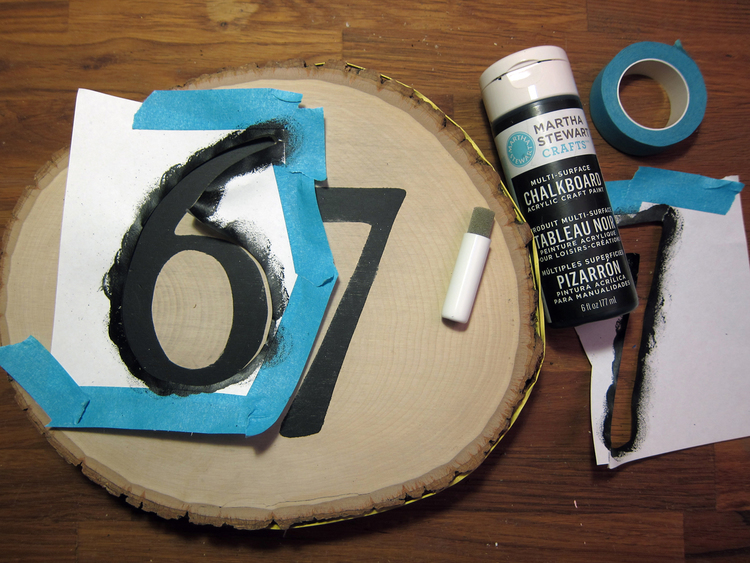 Use a medium flat brush to paint each number with Americana® black acrylic paint. 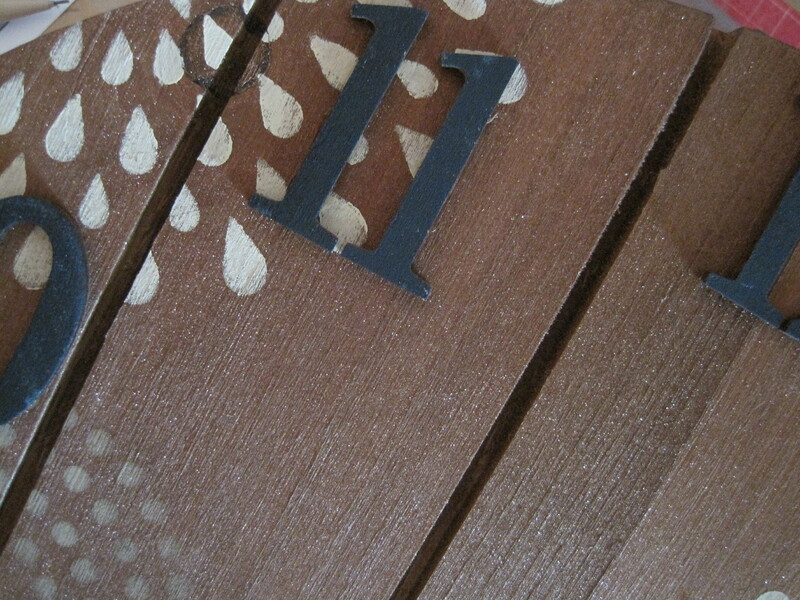 The numbers are laser cut so they are brown on the edges. Because of this, I usually just paint the top of the number. I love Tombow’s MONO Multi Liquid Glue because it works the best! I used it to adhere each number on the clock. I always start by gluing down the 12, 6, 3 and 9 numbers so that I know they are in the proper position. Then you can eyeball the numbers that go in between. 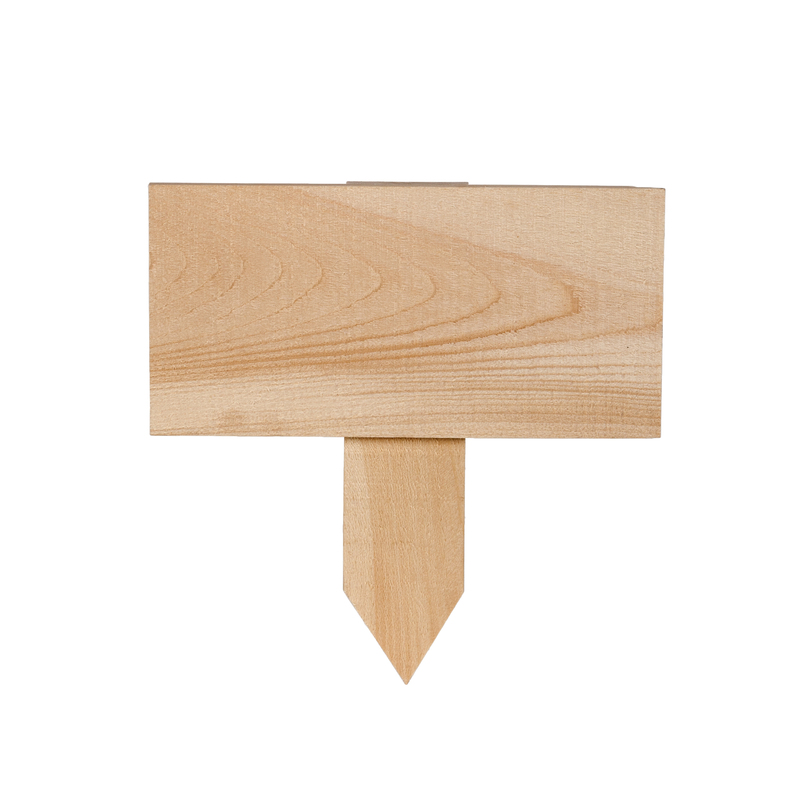 Add the clock movement (using one that has a shaft for ¾” wood surface) following the instructions on the back of the package. 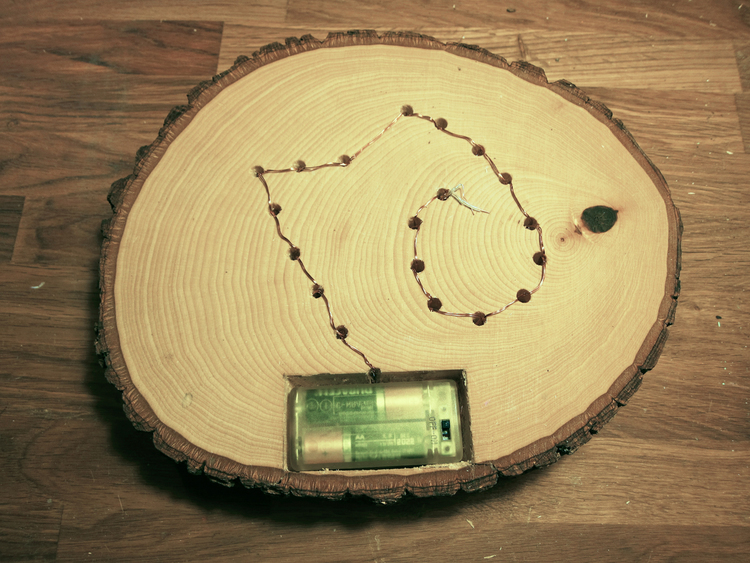 Add the clock hands, AA battery and set the time. 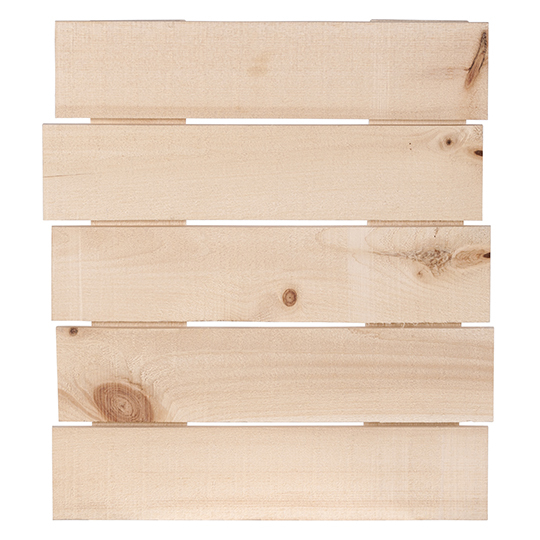 Earlier this week, we introduced the Rustic Pallet Program on our website (www.walnuthollow.com) We’ve shared 6 of the items with our shopping cart customers and these items are available only on our website. They will be shipped to many craft stores soon, but we thought we’d introduce them first for those who like to purchase Walnut Hollow items through our shopping cart. This is the first time we have done this so it will be fun to see what happens. These items are so on-trend – you see them everywhere in magazines and a lot on Pinterest. 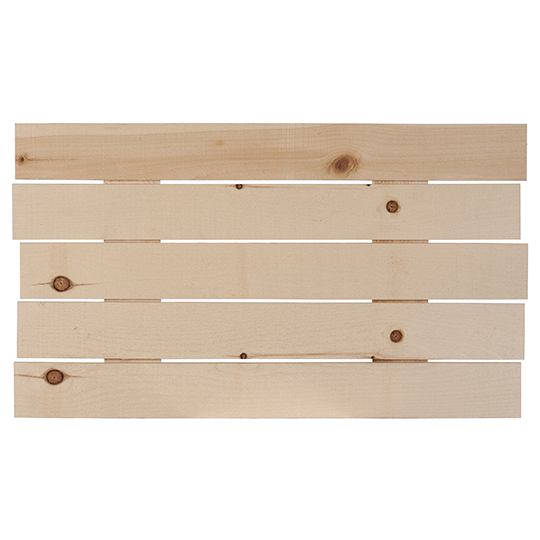 Most folks are taking old pallets used for shipping and cutting them up, etc. However, all of us don’t have the equipment or desire to do that, so Walnut Hollow developed this program so customers can purchase the product ready to be finished. I had a terrific time designing many ways to decorate them and use them for home décor or special occasions. I thought it would be fun to let you see the first 6 items ready for our shopping cart. 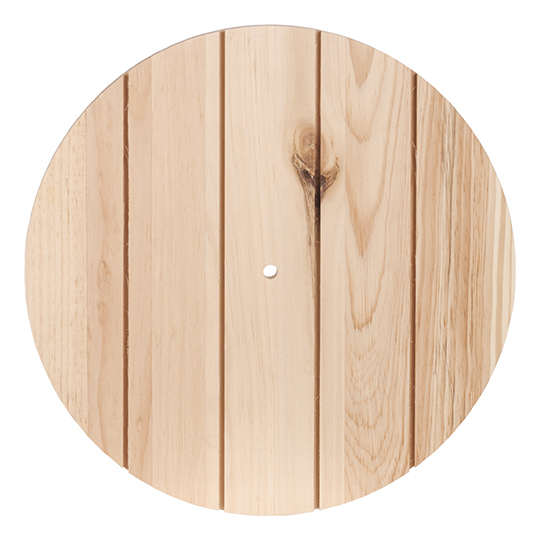 We try to consider many different reasons our customers will like our wood products so that not only are they designed for great crafting surfaces, but we think about the functionality of a piece and how useful it will be once decorated. 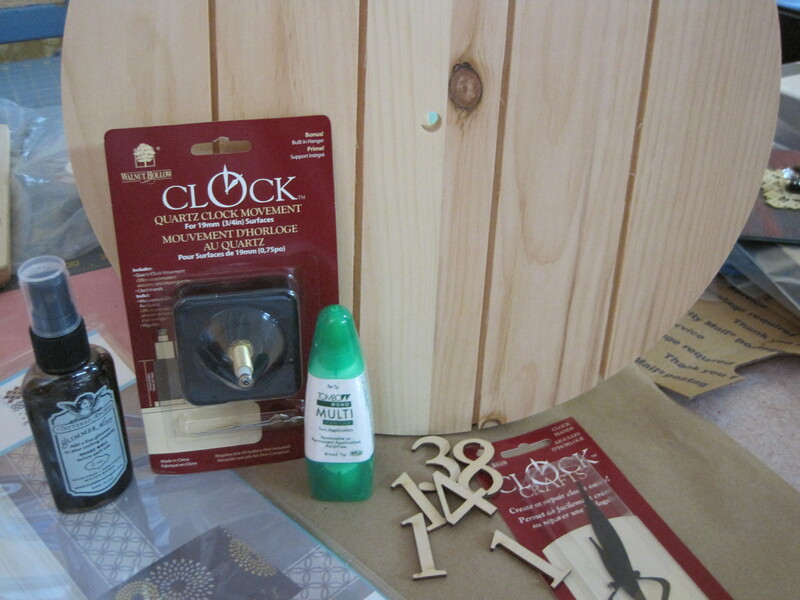 These items lend themselves well to storage and organizing, clockmaking, and signmaking. 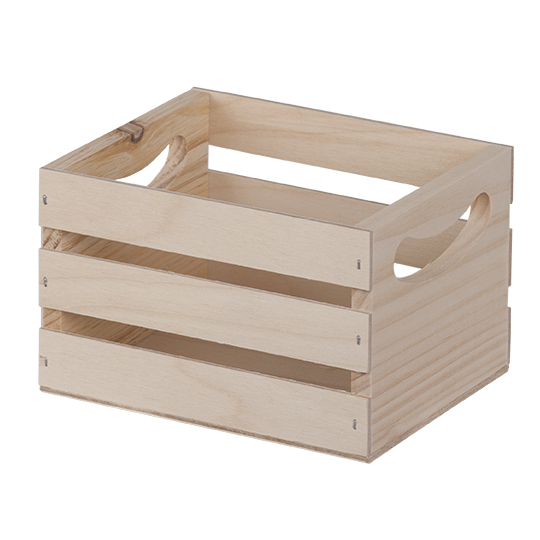 Some of them are sanded so that the surface is smooth (like the clock surface, the crate, and the 3 arrow signboard) and the others were left rough just like a typical shipping pallet. 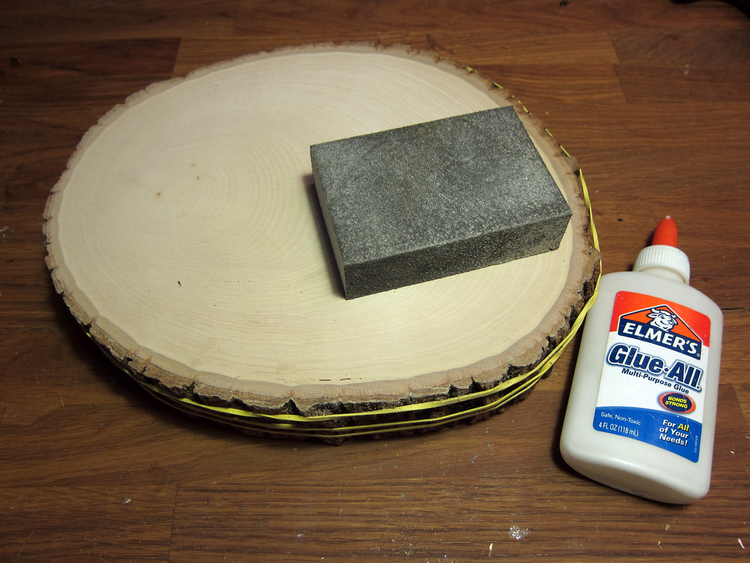 Both smooth and rough offer different looks to the wood so if you want to add rub-ons to a surface, you might prefer it to be smooth. Of course, a crafter always has the option to sand down a rough surface to make it smooth – you might want to use an electric hand sander, if you have one, to make it easier. The dark brown paint on the large piece was spray painted. It was so easy because I just gave it 2-3 coats of paint, but let it dry between coats. Even writing with a chalk pen on the small market sign worked, even though the surface is rough. The chalkboard paint I added first might have helped a bit. Fun pieces, huh? Just wait till you see the rest of them………can’t wait to show you!!! 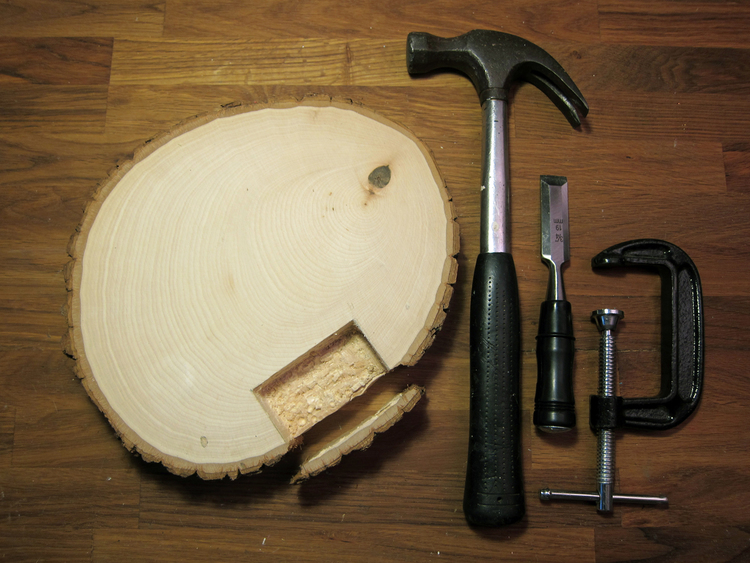 Here’s a sneak peek to the projects I created – some instructions will be coming up in future Blogs.